squirrelsgotstyletoo: Update to Dress Up! 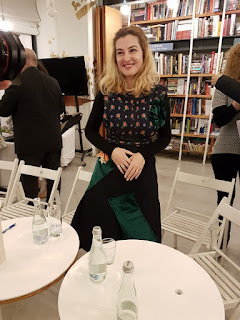 The launch of my first novel went absolutely wonderful. And that happened because of three special ladies who attended the event. The creation was proudly worn and here's a photograph to prove it.